That was the lead in Central City Extra’s June 2013 news story — part of its ongoing coverage of the tech giants’ agreements and the Citizens Advisory Committee created to guide them. 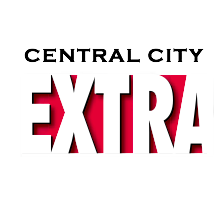 For context and a quick refresher on Central City Extra's ongoing coverage of the issue, scroll down to see previous articles on the topic. Below is the latest installment of the saga, by Mark Hedin, a reporter for the Central City Extra who has kept a close eye on the Central Market/Tenderloin Payroll Expense Tax Exclusion and the Community Benefit Agreements the city signed with six of the tax-break recipients, including Twitter, Zendesk and Spotify. Robert Marquez, vice-chair of the committee that is the public’s only voice in official efforts to mitigate skyrocketing mid-Market development’s effects on the central city, has resigned his seat. Marquez’s move surprised some colleagues: A frequent, impassioned community advocate, chair Peter Masiak had assumed he’d take on the duties that Masiak has expressed a desire to relinquish. The Citizens Advisory Committee for the Central and Mid-Market Area was created on the heels of City Hall enacting the “Twitter tax break” in 2011. Under terms of the legislation, companies with million-dollar-plus payrolls are required to execute a Community Benefit Agreement in exchange for a break in their payroll taxes. Twitter, Zendesk, Microsoft subsidiary Yammer, Zoosk, One Kings Lane and Spotify have signed such deals – Zendesk was first in 2012, the others signed on in 2013, except for Spotify, which joined their ranks last year. The largest three, Zendesk, Twitter and Yammer, all got three-year pacts this year that will carry them through most of the remaining years of their six-year maximum eligibility for the break. The CAC-created framework for these agreements looks to help the area by contributing to its economic development, local employment, and stability for residents, nonprofits and small businesses. The Extra has been following developments in the CBA process almost since their creation in 2012. Despite Bogacki and colleague Rob Gitin having been on the panel since October of last year, when they replaced Manuel and Jeff Kositsky, respectively, their positions are still listed as open on City Hall’s Website, and despite his having resigned in mid-February, Marquez’s seat is not. Marquez’s departure creates a vacancy for the seat designated for a community-based organization or direct service rep. Another seat, for a person with commercial real estate and lending expertise, has been empty since Mara Blitzer resigned in November 2013. Members are not paid for their work, and their recommendations are not binding. In 2014, City Administrator Naomi Kelly approved all six companies’ CBAs despite the CAC having voted against all but Zendesk’s. In 2014, resigned to the certainty that the pacts would again be signed regardless of the CAC’s opinion, the panel gave them all their blessing in apparent hope that the companies would live up to the spirit of the process and the original, unwritten and no-longer-discussed expectation that they spend about a third of the value of their tax savings in the community. “What is a fair return in community benefits from companies that have blossomed into $100 million and $25 billion companies?” Marquez asked. “I guess with the multi-year deals in place, it makes it easier to sit back and assess if $3-$4 million in benefits over three years from a $25 billion company is appropriate. At the almost-monthly CAC meetings, the companies that have signed the agreements report on their activities and take questions and comments from the panel and the public. One Kings Lane has boycotted the meetings for more than a year now, when its community liaison apparently found the burden of appearing before the panel, and perhaps taking its criticism, too distasteful. Anyone interested in one of the open CAC seats can get an application from the Board of Supervisors website, or from the Rules Committee Clerk in Room 244 of City Hall. Completed applications should be submitted to the Clerk of the Board. Questions? Try the Rules Committee clerk, (415) 554-4447.